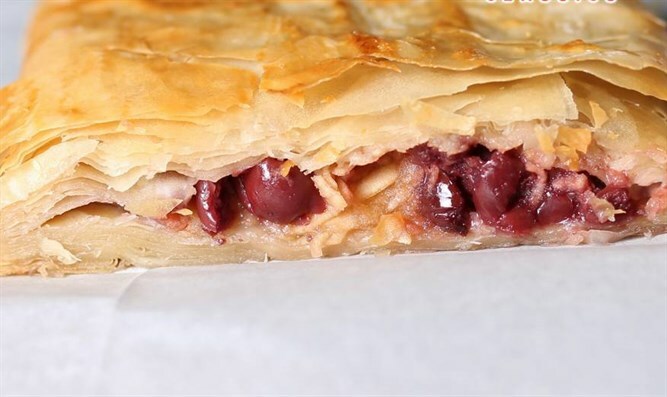 Soft, flaky strudel wrapped around a sweet apple-cherry filling. Roll out half of dough to less than 1/8-inch thickness. Mound half of apple mixture along the length of pastry dough. Sprinkle half of challah crumbs over apples and dough. Sprinkle apples and dough with half of sugar. Bake at 400 degrees Fahrenheit for 45 minutes or until lightly golden.